Vietnamese mint has strong distinct minty fragrant. It's used in Northern and Northeaster food. This mint makes pla rah or pickled fish chili sauce more interesting. 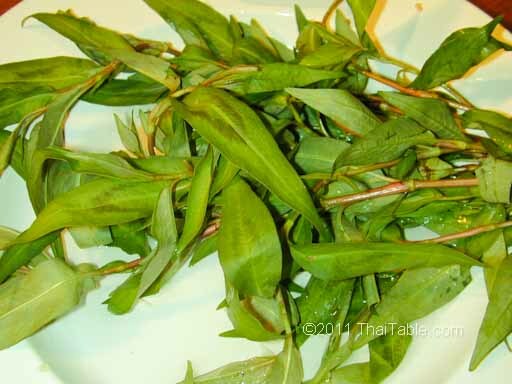 Vietnamese mint can be eaten raw or cooked. It is easily grown in warm climate. The mint likes water and doesn't mind partial shade. If you buy yours from the market, you can propergate it by putting it in a glass of water. In a week or so, it will start growing roots.